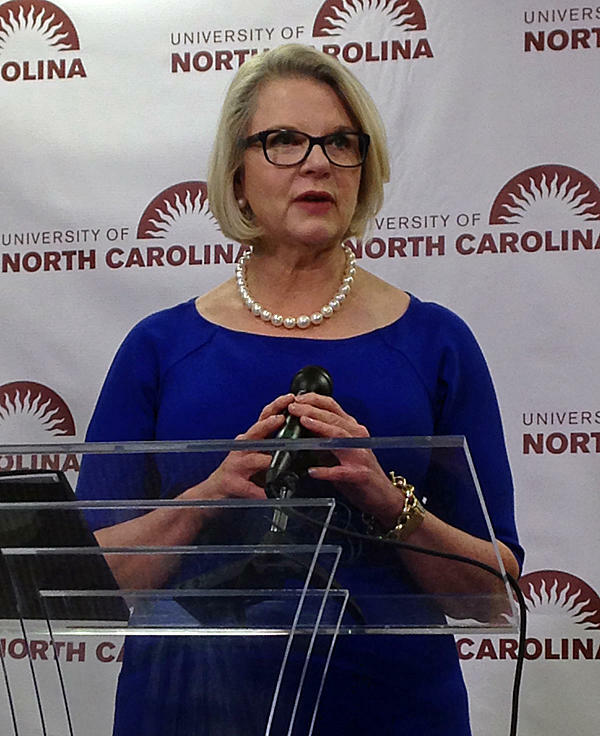 The controversial hiring of Margaret Spellings as the new UNC system president has received national attention for its political implications. Some professors say her background as Secretary of Education under the George W. Bush administration is a signal of more divestment in higher education. But some of Spellings' former colleagues say she is just what the UNC system needs to connect with a Republican legislature. 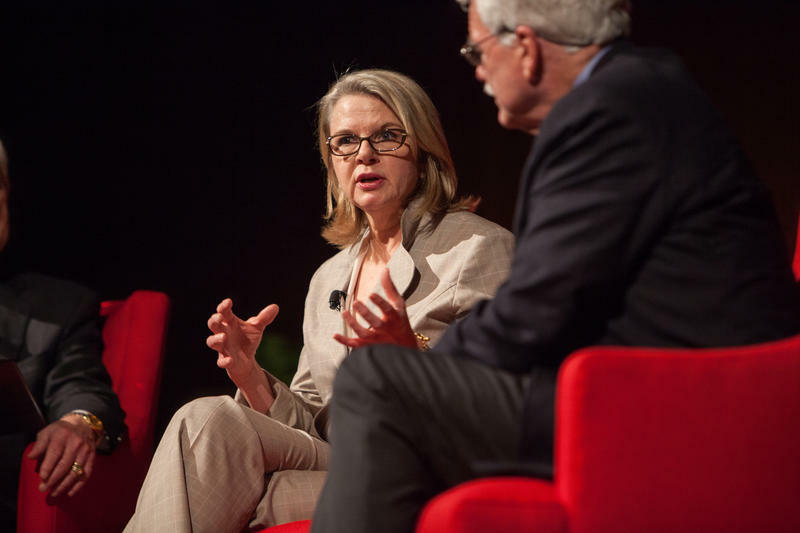 Host Frank Stasio talks with Sarah Brown, reporter for The Chronicle of Higher Education, about what Spellings' presidency could mean for the UNC system. More than 100 demonstrators interrupted the UNC Board of Governors meeting today in Chapel Hill. They were there to protest the hiring of Margaret Spellings as the new president of the UNC system. Today's meeting is the last for outgoing president Tom Ross, who was forced out of the position earlier this year. John Fennebresque has resigned his seat on the UNC Board of Governors, effectively immediately. An attorney from Charlotte, Fennebresque had served as Board Chair since 2014. Last year, he oversaw a controversial review of UNC academic centers that some called politically motivated. It eventually led to the closing of the UNC-Chapel Hill Law School’s Center on Poverty, Work, and Opportunity, among others. Margaret Spellings has spent her professional life in the eye of the political storm. She served President George W. Bush as Education Secretary and political advisor. And now that she’s the choice of the UNC Board of Governors to be the new UNC system president, it’s not going to get any less windy. 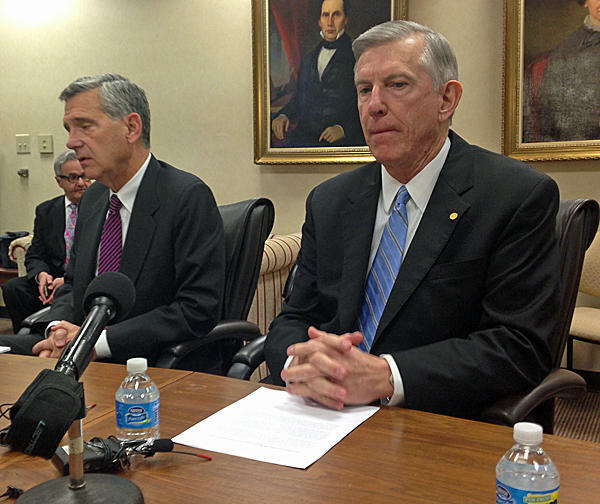 The UNC Board of Governors makes their selection for a new university system president. Former U.S. Department of Education secretary Margaret Spellings is the president-elect, chosen to replace outgoing president Tom Ross who was forced to resign earlier this year. Spellings served in the George W. Bush administration.